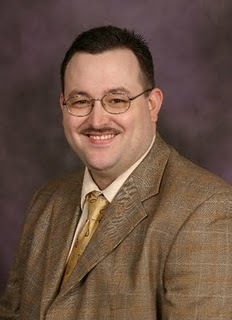 It has been assumed that Libertarian at-large councilor Ed Coleman would run for re-election as an at-large councilor. Coleman, who hails from the south side of Indianapolis, has thrown a curve ball at the political establishment with the public revelation that he would run for council from the 24th District challenging incumbent Republican councilor Jack Sandlin. This is one of the shrewdest political moves I've seen in quite some time. It would have been next to impossible for Coleman to get his name out to a sufficient number of people to overcome the major parties in an at-large race. Instead Coleman will be able to target his limited Libertarian resources on a district 1/25th the size of Indianapolis. The district is small enough that his supporters can walk it, do multiple lit-drops, and phone likely voters. Sandlin won't necessarily be able to simply rely on the Republican base in District 24. As the long-time elected Trustee of Perry Township, Sandlin lost his position due in large part due to a falling out he had with the township fire department. Those wounds are still fresh in Perry Township and could be exploited by Coleman who has strong public safety contacts. Sandlin's chances will be further complicated by his support of the unpopular 50 year parking meter contract with ACS and his backing of Public Safety Director Frank Straub, who is almost universally opposed by police officers. It is not clear whether the Democrats will field a candidate in the district. If the Democrats don't, Coleman might be able to unite the Democratic vote and Republican who support him or dislike Sandlin, to pull off an election upset. Looking at the base vote in 2010 in the council districts it appears that as many as 20 districts have Democratic majorities or are races where the Democrats are within striking distance, i.e. districts in which Democrats had more than 40% of the vote in 2010. Five of the 25 appear to be safe seats for Republicans, mostly on the south side of the city. Now Libertarian Ed Coleman appears to have put a district into play that will force the Republicans to at the very least spend substantial money to defend. 2011 is not looking to be a good year for Marion County Republicans. I haven't kept up with his votes. On what issues has Coleman distinguished himself as more libertarian than the Republicans? I'll let the Libertarians answer that. I think Coleman has opposed many of the corporate welfare measures. He's also been against things like the smoking ban which a lot of Republicans suppport. Again, Libertarians can better answer this question than I can. Coleman wasn't there for us on the water deal. He voted for it. I was personally offended because he joined the HFFT blog to report on important matters before the council then refused to communicate with citizens about the water deal. Ultimately, Coleman wrote absolutely nothing on our blog after he committed to be a part time editor. It caused me to drop support of him. I'm the type he could have counted for a $500 donation and to walk the district. Oh well. Maybe he learned not to break his word to me. I disagree with Ed's vote on the water/sewer utilities. It wasn't because I didn't think Citizen's would do a better job. It's because it was one public buying the utilities from another public, backed by a 30 year mortgage we ratepayers will have to pay back so Ballard can pave roads for re-election. But on the other issues, Ed's been right the vast majority of the times. He voted against the smoking ban, he voted against the parking meter deal, he introduced a resolution that the City should follow the Second Amendment in its ordinances. He was against the ban on guns in parks. Again, he doesn't vote the way I would 100% of the time and is, by definition, not perfect, but he's pretty darn close.